Hotel Progressive Inn provides rooms that have been decorated in a very beautiful manner. The hotel is situated in the locality of Rakhial in Ahmedabad. The rooms are spacious and have been designed with attention to minute details. The rooms are well-lit and have been decorated with little knick-knacks like paintings. All walls in the rooms have been painted in neutral hues and some of the walls have been covered with awe-inspiring wallpapers. The additional features provided by the hotel are CCTV cameras, free Wi-Fi, card payment in all forms, an elevator facility and laundry provisions. All these facilities can be used by the guests as and when required in order to relax and rejuvenate after a long day at work. The front desk service is also elegantly decorated and is handled by helpful and experienced staff. 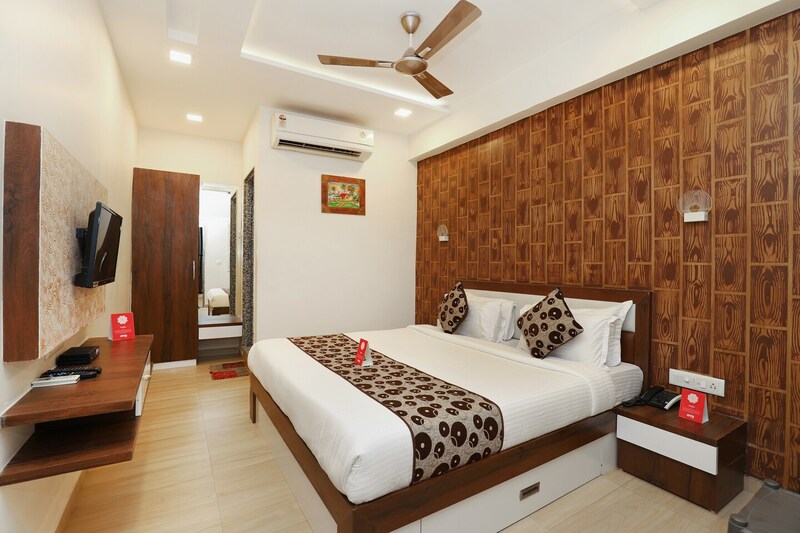 The hotel is surrounded by a number of essential facilities such as Masdan Mills Bus Stop, Ahmedabad Junction Railway Station, Hotel Moti Mahal, Azad Sweet & Restaurant, Satyam Sanitary Wares, and Kailas Industries.